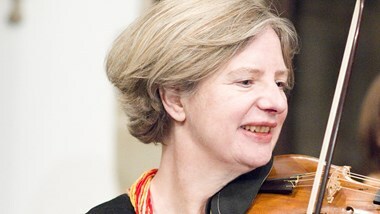 Join historical specialist Judy Tarling (violin) as we seek to re-create the string band of the 17th-century court, emulating the '24 violons' of Louis XIV which was copied in the theatres of Restoration England. The '24' was composed of varying sizes of members of the violin family, particularly strong in the three viola parts, with equal treble and bass sections. We are seeking an orchestra of baroque string players at A=415 and continuo players (harpsichord, theorbo, baroque guitar) to explore repertoire ranging from Lully to Purcell, including German suites by Fischer and the Austrian Schmelzer. Suites, overtures and dances will all demonstrate how the French dance style raged around Europe.